With all the planning that goes into your wedding day, it goes without saying that you'll want it to be one of the most amazing days of your life. However, there are so many different pieces that make up the big day, it's easy to get bride brain and forget something that may make a huge difference. Well put those fears aside, brideys - we've compiled a list of 12 different things that you might regret doing on your wedding day in hindsight. 1. Not having a videographer. They don't come cheap, but a professional video of your wedding day will be something you'll treasure forever. 3. Not having an open bar - trust us on this one. 4. Not doing personal vows, or personalizing your ceremony in any way. This day should reflect your uniqueness as a couple and your relationship! 5. Not wearing comfy shoes for the reception. How are you supposed to enjoy the reception when your feet are killing you? 6. Not feeding your guests at the right time. This one isn't obvious, but it's important! You don't want guests to be drunk or too hungry during key parts of your reception. Grumpy or uncomfortable guests will have a hard time paying attention to toasts or meaningful speeches. 7. Not putting a limit on who can give toasts at your wedding reception, or putting a limit on how long those toasts can run. While a few heartfelt speeches are important, nobody likes sitting through too many long and rambling ones! 8. Not after-partying with your closest friends/bridal party after the reception. You may be tired, but your friends and family want to party with you! 9. Not discussing with your photographer all the photos and wedding details you want him/her to capture. If you don't communicate the must-have photos, you may end up disappointed when you get your photos back! 10. Not getting your makeup/hair done for your wedding. What better time than your wedding day to pamper yourself and get your hair and makeup done professionally? 11. Not doing a morning of gift for your bride/groom. It's a meaningful way to connect before you get to see each other at the wedding ceremony, and chances are you're going to treasure that gift forever. 12. Not getting ready with your bridal party the morning of the big day - getting dressed up with your girls is always fun, so why would you skip out on some quality girl time before you get married? GUEST BLOGGER: My name is Stephanie, and I work at Wedding Party, a startup that specializes in creating technology and apps for weddings. Our first product, Wedding Party, is a free app that you can download for iPhone and Android. Wedding Party lets couples collect all the wedding photos their guests take, and provides a unique, social way for guests to interact with the each other on the couple’s big day. Set up your own Wedding Party app today, and check out more of my musings on the Wedding Party blog. It has been 2 years since I got married, and one thing I have noticed is that the average cost of a wedding has increased drastically since then. I wrote a blog post about the budget right after getting married, but I feel like things have changed a bit since that point. If your budget is $30,000, always tell your vendors (and yourself) that your budget is $25,000. There are a lot of unforeseen expenses as well as things you'll want to splurge on, this mentality will keep you in check throughout the planning process. Most couples go over budget so giving yourself a buffer will enable you to go over budget without spending more than you originally wanted. I hear a lot of talk from vendors about how much they hate brides negotiating with them. But here is the thing. If they don't have set pricing and packages on their website for you to think with, you have no idea what you should expect to pay. The concept is to fall in love with a vendor, find out their pricing and be willing to pay it. This is such a twisted way of doing business. I don't walk into the store, fall in love with a dress then find out the price tag and say ok. Instead I know the price tag and know if I should fall in love with the dress. If it was the other way around you better believe I'd be in Nordstrom negotiating pricing. A lot of vendors are willing to work with your budget. For example, your expenses with a florist will vary greatly depending on the amount as well as the types of flowers you want. Vendors are small businesses and they have things they will and won't negotiate, but it never hurts to ask. Of course you don't want to insult them, and never ask for just a discount, but be willing to work with the services they offer. If you don't need something, let them know. They might be willing to take it out of their proposal. In the end, you may or may not get any discounts but you never get what you don't ask for. So politely try to work with them to see if there is anything they can do. No two budget will be the same. Some brides want a great venue and are willing to give up things like transportation. Some brides don't care as much about the venue but won't budge on getting a Vera Wang dress. Figure out where your splurge moments will be right off the bat (and it can't be everything!) What is important to you? What do you want your guests to walk away remembering? What do you want to remember in 30 years? Then figure out what things you don't care about. For me it was transportation. Some might be ok with buying a cheaper dress, or not having flowers in the ceremony. Whatever it is, figure out what you don't care about and leave those things out. In terms of design, you can do a lot. But think about the things that will enhance the guest experience vs. things that won't be noticed. For example, if your venue provides tables and chairs, figure out ways to dress those up before opting to spend several thousand on rentals. Small details at each place setting will add to the overall look and feel of the table without adding too many elements on your tablescape. Nix a huge paper lantern display and go for something a little more original. Have a really fun photo-booth (you can DIY that one) to give guests something to spend their time doing. Chances are guests are going to notice a custom bar you had custom made, but they will care about the drinks. Cut the things that won't lend themselves to drastically enhancing the overall look. That doesn't mean cheaping out on everything, but pick those spots that people will actually notice and forget the rest. Keep a spreadsheet for your budget. In the beginning it was filled with a lot of estimated costs for things. As I started booking more and more vendors it turned into tracking expenses, balances paid and those that were outstanding, etc. This was such a lifesaver when I was getting married and something I referred to all the time. The budget is probably the least fun part of planning a wedding, but it is the most critical. Hopefully these tips will help you stay somewhat on track. As always, if you have more questions or need some extra help, I'm here to answer any questions. I have recently created some budget tracking sheets that I can send to you as well. Email allison@engagedandinspired.com and I'll send those over. Want more awesome information like this? I'm hosting a wedding planning workshop for brides who don't want to hire a planner but need help making sense of it all. Check out all the details! It is time to let the cat out of the bag! 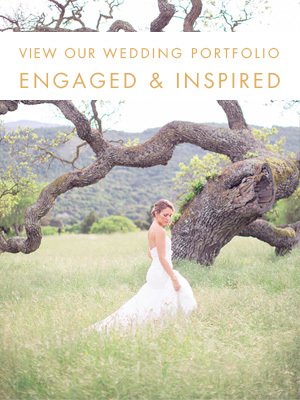 The Lab is a bridal experience taking place in Sonoma, Ca on January 12. As one of the founders of the event, we have been working day and night creating the perfect event for brides! While we ramp up for our event, we have been secretly working on a little something special. I am so very excited to finally let you in on a little something I have been working very hard on for the last few months. The Lab iPhone App! We are serious when we say that it is our top priority to connect brides with the right type of vendors. We want to showcase some of the best talent for you so you don't have to go and do all the research yourself. At The Lab we will have 6 spaces decked out to give you endless amounts of inspiration along with bites, great music and of course, our fashion show! We also offer a library of vendor portfolios to look through at your leisure. All this is good and all, but we wanted to take it a step further and give you a place to search through our extensive library of vendors before, during or after the event. See something you love while walking The Lab? With the app you can save to favorites or just go ahead and shoot them an email right then and there!